Look at that good ‘ol fashioned New England style clam bake complete with plenty of frosty fresh Narragansett lager beers. All the ingredients for a good time. 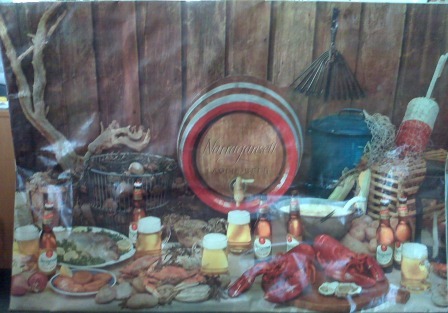 Lobster, clams, crabs, oyster, potatoes, corn, chowder and don’t forget the barrel of Gansett. So real we can almost smell it’s smoky goodness from here. Hard to pinpoint exactly where this sign was hung, but we imagine a clam shack or seafood restaurant circa 1960’s. 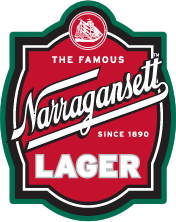 We weren’t kidding when we said Narragansett is the Official Beer Of The Clam and have been since 1890.